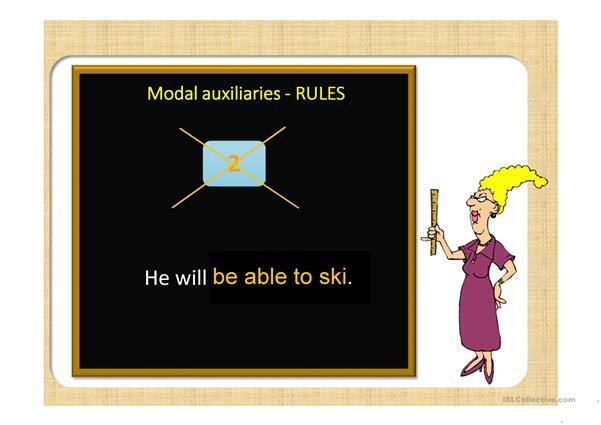 Simple explamantions about modals. 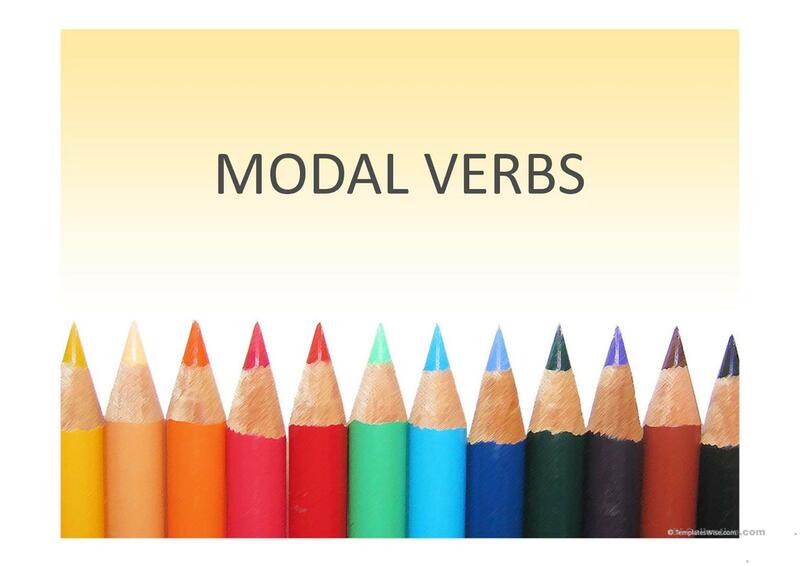 Those are usually enough for my students. This downloadable printable is best suited for business/professional students, high school students, elementary school students, adults and students with special educational needs, learning difficulties, e.g. dyslexia at Pre-intermediate (A2), Intermediate (B1), Upper-intermediate (B2), Advanced (C1) and Proficient (C2) level. 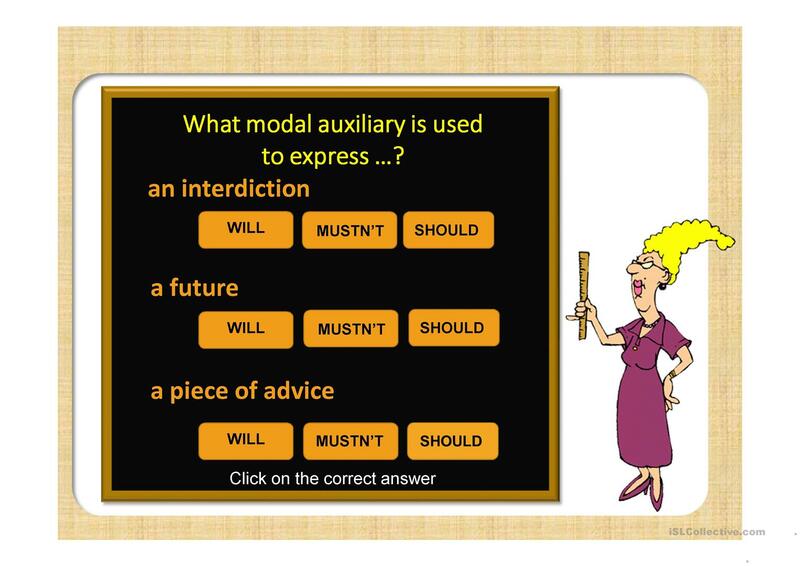 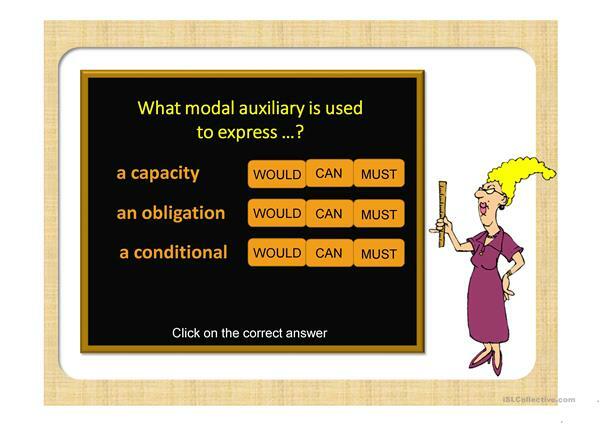 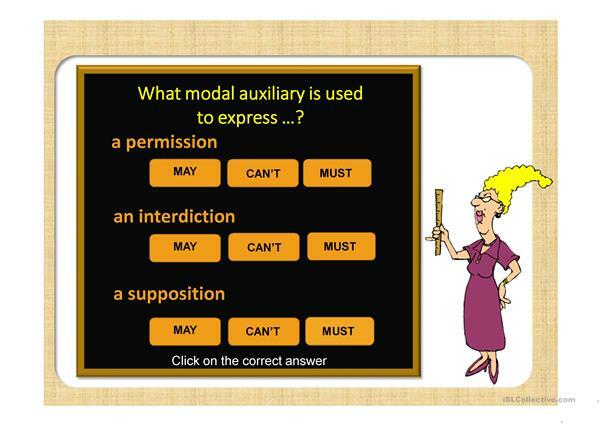 It is valuable for revising Modals, Auxiliary verbs, CAN, CAN or COULD, MAY or MIGHT and MUST or HAVE TO (obligation) in English, and was designed for improving your students' Listening, Spelling, Speaking, Reading and Writing skills. Luberdelle is from/lives in Belgium and has been a member of iSLCollective since 2012-04-02 00:22:03. 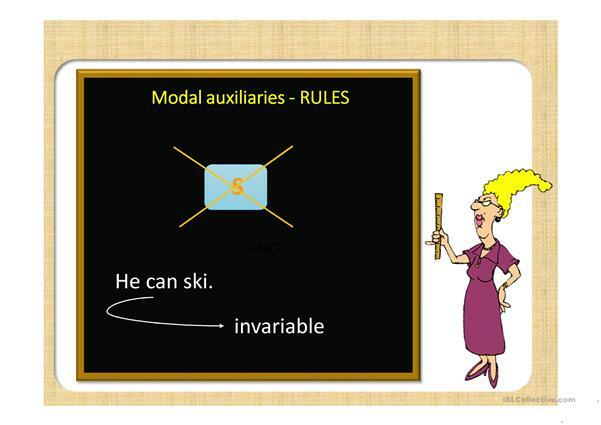 Luberdelle last logged in on 2019-02-25 21:52:08, and has shared 9 resources on iSLCollective so far.